Home > Blog > Which Formula 1 track? Have you been following the Grand Prix so far? The famous Monaco Grand Prix with its circuit winding through the streets of Monte Carlo is considered to be one of the best Formula 1 tracks in the world, but what other tracks are rated up there with the best? This a relatively young circuit that winds through the streets of Singapore – and what a circuit it is! The tracks is combined of specially laid track and actual streets of Singapore; with all the bumps, walls and tight corners that come with real life city streets which really enable the driver to show off what their cars can do. The track has a certain amount of straights which allow the drivers to pick up speed and also enable the all-important overtaking. Iconically this was the first circuit to host a night event, highlighting the breath-taking city skyline of Singapore – a truly great spectacle! This figure of track is truly spectular. The track kicks off with a long straight which enables the drivers to pick up speed, meaning the first corner is always interesting. The track then snakes and twists before allowing cars to pick up speed again. It’s a test of car acceleration and driver skill. Suzuka represents a challenge in all respects. It requires cars to be primed aerodynamically for fast straights with stop speeds in excess of 310 km/h, as well as for the range of corners in the lap. Ok, so this is widely acknowledged as one of the best circuits in the world. Its sharp hairpin bends and high-speed downhills and track through the forest make it a beautiful and exciting course. 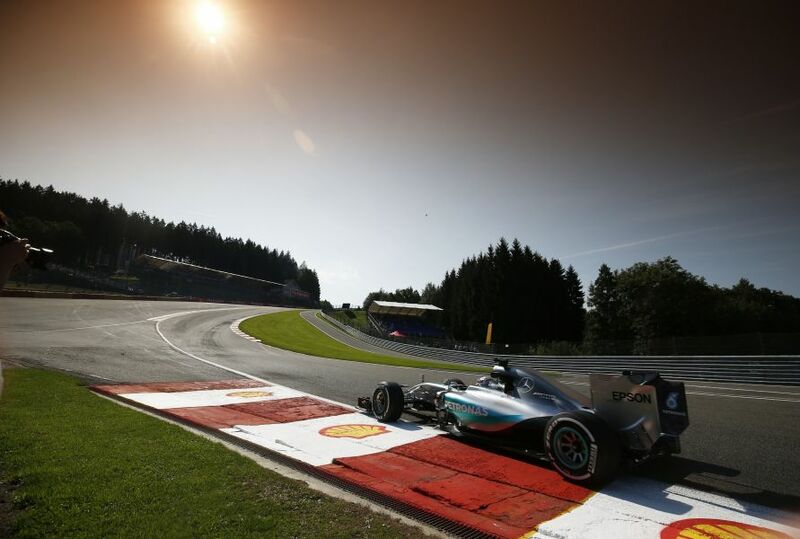 The circuit has some hair-raising sharp turns, with its Eau Rouge corner rate by many drivers as the most exciting in the Grand Prix. The course winds through forests for a total of 7km, and it a fantastic technically challenging course. Or maybe the notoriously treacherous Hockenheimring circuit in Germany has pricked your intrigue. Regardless of circuit preference, there’s no denying that this year’s F1 Grand Prix is heating up with Rosberg monopolising the leader board. We have deals that cater for all tastes, with Formula 1 ticket and hotel packages in Europe enabling you see all the action and explore the host city. Our European Grand Prix packages contain tickets for the Saturday qualifier and the Sunday race, along with transfers to the race track. With 3 nights included in the package, why not use your spare time to venture away from the track and immerse yourself in what the host city has to offer? Explore the nightlife in Brussels, or go shopping in the ever fashionable Milan. Explore our full range of F1 Grand Prix Packages in Europe today. We currently have a huge range of Tickets & Events breaks available in Europe with ticket and accommodation included. Be part of the magic and experience the atmosphere yourself with one of our sports packages.